Germans always stay a decade ahead when it comes it automotive technology and innovations, but one brand from the same country — Gumpert — is acting tortoise in the automotive race. The company’s Apollo recently spent a whole lot of time under the careful knife of the German company 2M-Designs. 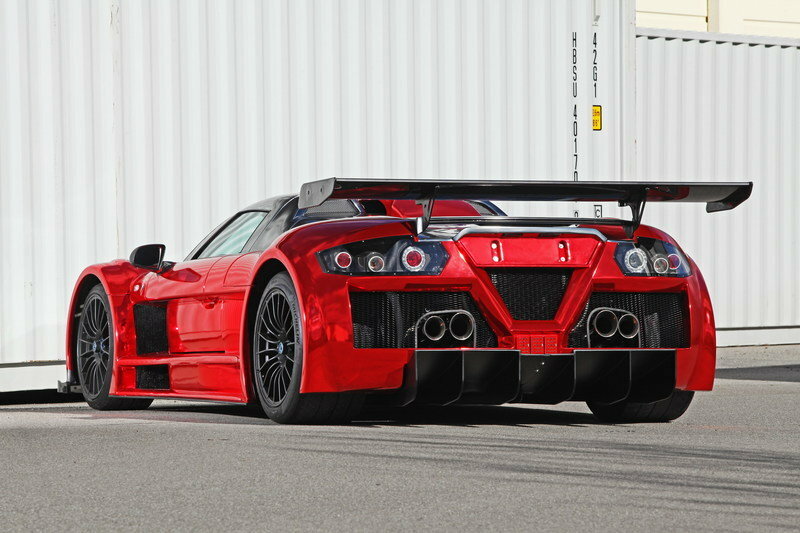 The Apollo is perhaps the only Gumpert vehicle to create waves, and it introduced the brand to the world. Though the Apollo underwent a lot of modifications here, don’t start thinking it is a slouch. 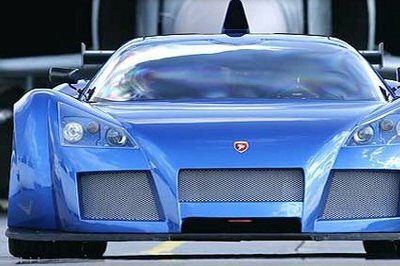 In fact, The Gumpert Apollo Sport was once featured on Top Gear UK, where it completed a lap on the show’s famed track in just 1.17.1 .This time trumped the industry’s top models, including the Bugatti Veyron and Pagani Zonda. 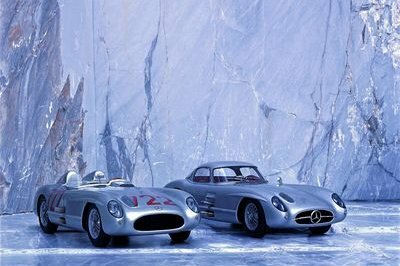 This result helped the model catch the eyes of those who were still unaware of the German brand. 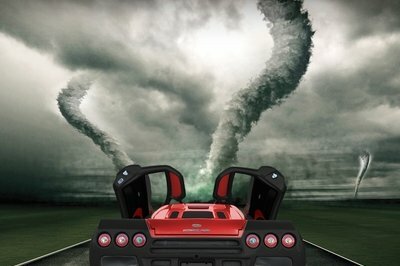 So, what could have 2M done to make this supercar even better? 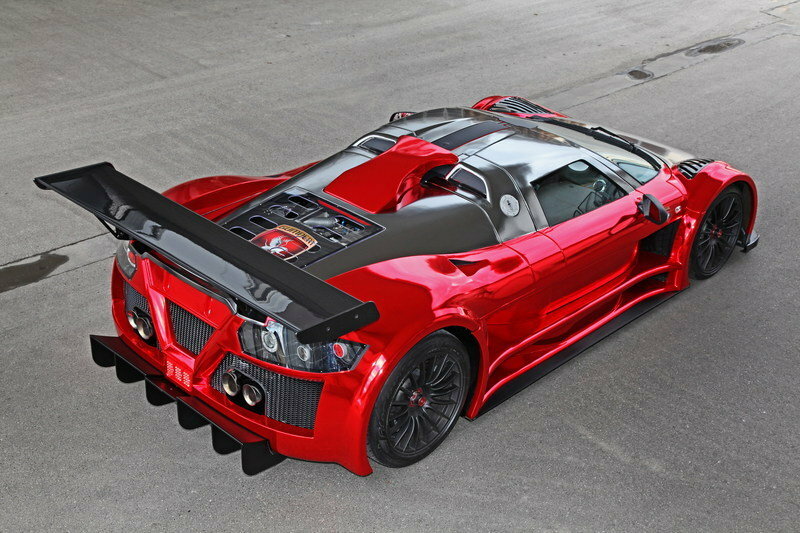 Click past the jump to read more about the Gumpert Apollo S Ironcar by 2M Designs. With all the designing efforts that have gone into the car, the Gumpert Apollo looks outrageously attractive and different from the any car that is available in the current market. The appalling design puts the Apollo in a league of extraordinary. It is built around a chassis inspired by a race car, but it remains street legal. The original Apollo offers weight distribution of 42-to-58 to the front and rear, which the company claims to be the best for a road car. With the contrasting use of Centurion Red Chrome and Black Chrome, one just cannot simply ignore this creation, which shows the perfect blend of beauty and aggression. 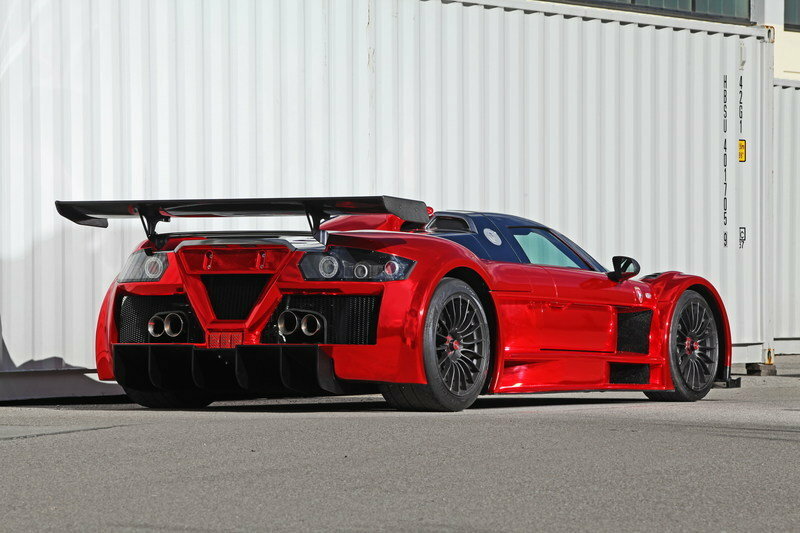 The body is painted in premium Centurion Red Chrome and the Black Chrome-dipped roof (&euro6,800) sweeps to the hood in angular lines and makes the Gumpert Apollo all the more unique. Liquid rubber (&euro250) is sprayed on the rims while the outer rear view mirrors feature a thin carbon film. The tuner has also replaced the original hood cover grille with transparent shatter-proof Lexani glass (&euroTBA). The headlamps come tinted at about 5 percent, but it is not legal on German roads. With the massive road presence, the car has been given the name of IronCar, which is depicted by the colors of the star of super-powerful Iron Man series. From the inside, the Bavaria-based tuner did not change much. Every inch is neatly covered in leather and suede. Based on the &euro426,920 ($591,753) Apollo Race with no modifications, the Audi-sourced, 4.2-liter, V-8 engine with boost coming from twin turbochargers produces a massive 780 horsepower. 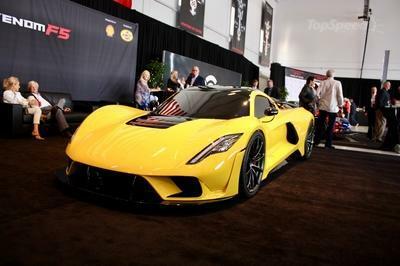 This is enough to hit a top speed of 360 km/h (224 mph) and sprint to 60 mph in around three seconds. Each piece of this ingenious masterwork of art and engineering is handmade in Altenburg, Thuringia and to suit the personality of the customers. In the design agency 2M DESIGNS in Augsburg, Bavaria, all the customers are in good hands that are looking for car wrapping an equally trusted as reliable contact. Highest quality films at fair prices, qualified staff and years of experience make 2M DESIGNS a business of trust. The fact that the guys of Augsburg have not selected "any" car to show off their skills, but a Gumpert Apollo S, testifies to the endless creativity of professionals working around managing director Marjan MAJIC. Said Apollo - behind the project is ex- Audi Motorsport boss Roland GUMPERT - is already innately the unrestricted eye-catcher. And even more convincing now with intensive Centurion Red Chrome, whereby roof and bonnet are kept in Black Chrome – thanks to the capabilities of the Department of 2M DESIGNS. Within 80 hours the Chrome pasting is implemented and stands at 6.800,00 Euro including VAT. The rims by the way are coated with liquid rubber (250.00 Euros) while a carbon film structure refines the two outer mirrors. The hood grille cover that can be ordered from 2M DESIGNS at a not yet fixed price, was removed and replaced with shatterproof Lexani glass. 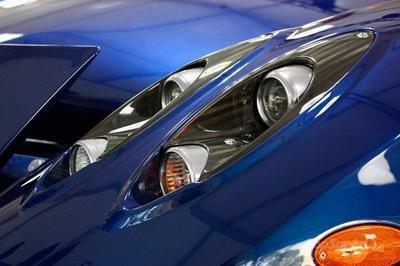 Finally, the headlights are covered with a 5% tinting which is not approved by the German road traffic regulations. The term IronCar is deliberately chosen to establish a connection to the famous action movie, as vehicle and Superhero designs are quite similar in colour. Remains to be mentioned that the vehicle as presented is almost "standard", only with the choice of tire the owner has decided instead of Pirelli in favour of Michelin Sport Cup. No need for urgent action for a 780 –horsepower Boliden with enviable lines and both road and racing registration and a Vmax of 360 km/h. Each one of the Apollo super athletes, handmade in Altenburg, Thuringia, is an automotive masterpiece with individual character, made exclusively for the customer according to his personal requirements. 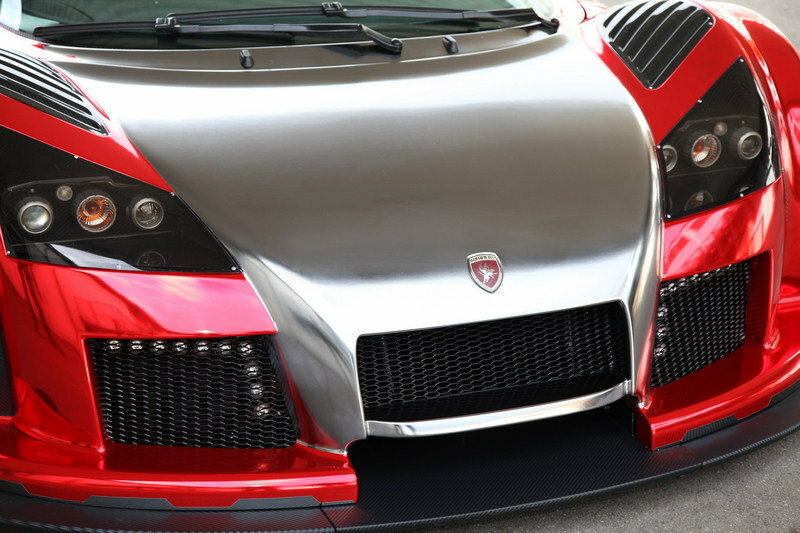 Once again 2M-DESIGNS proves that even "perfect cars" with an equally perfect car wrapping can still be optimized.